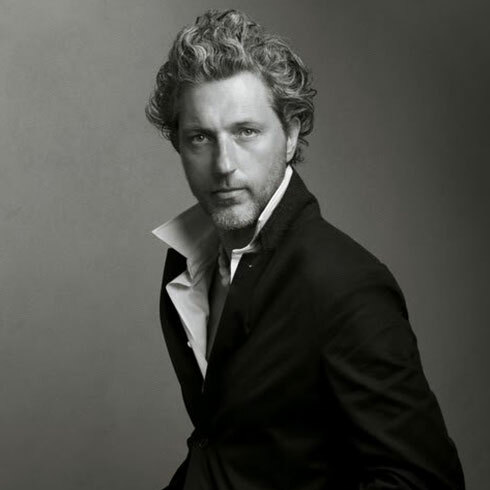 When Marcel Wanders decided to collaborate with Alessi for the construction of a series of products that remembered the circus world, he certainly did not imagined that his creations would have become as popular as they did. 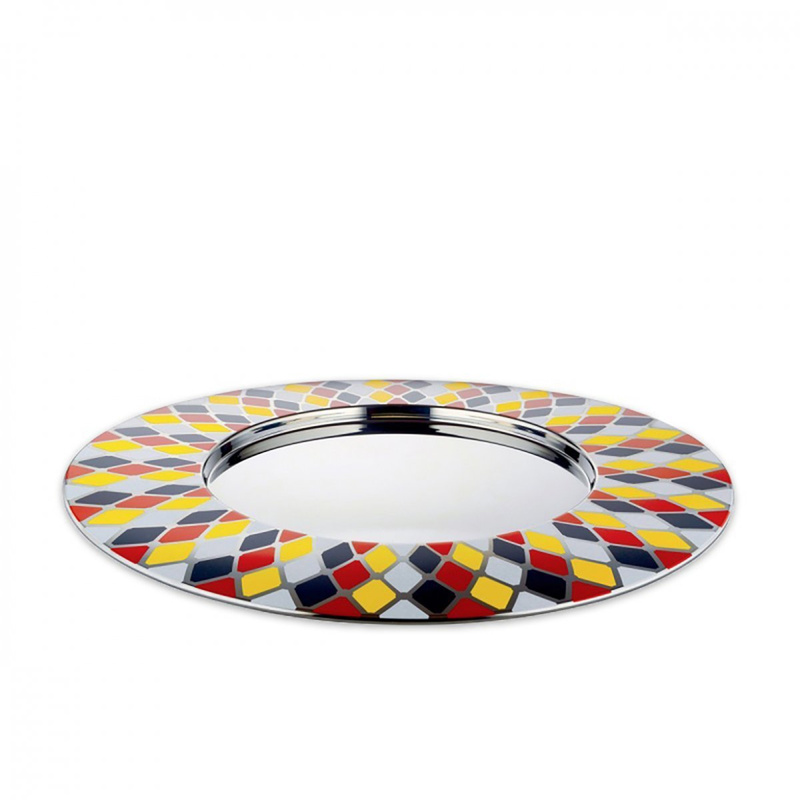 Regardless of the age of the users and the style chosen for home furnishing, this Circus tray can be seen as a true must have object in any context. If those who love classic lines and timeless style of traditional furniture can not resist the graceful cut of this product, it is also true that those who prefer modern style are enchanted by the combination of colours that enliven the proposed model. 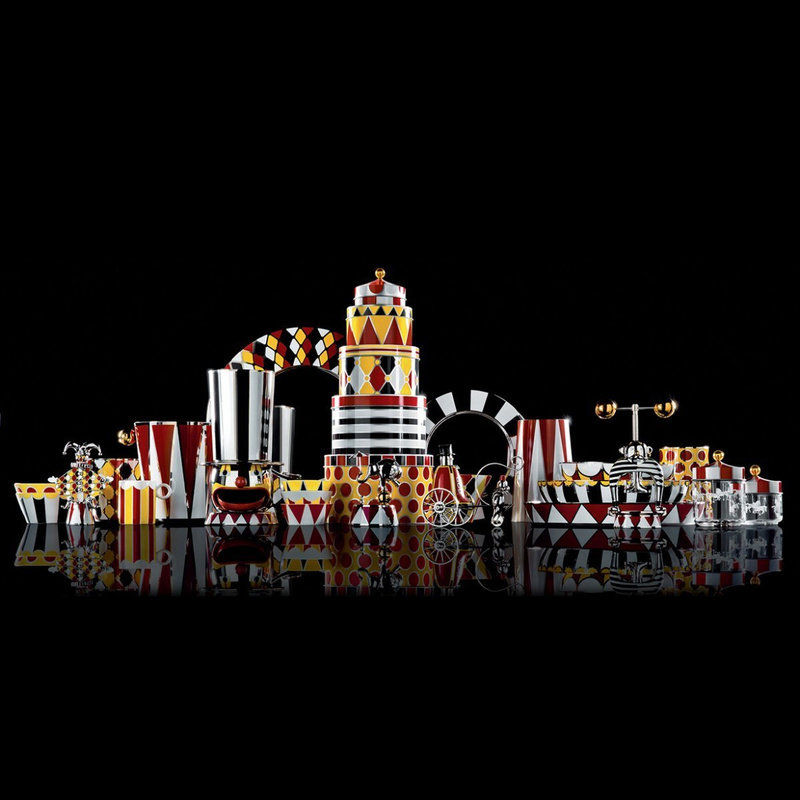 The silver-coloured background is decorated with yellow, black and red diamonds that recall shapes and colours of a circus tent, giving great visual impact to an accessory that turns into a timeless piece of design. The tray is made of high quality 18/0 stainless steel, chosen to ensure maximum strength and durability of the product. Overall, it is a product designed for those who want to enrich their home with a touch of colour and give it a unique and lively style, typical of modern contexts. 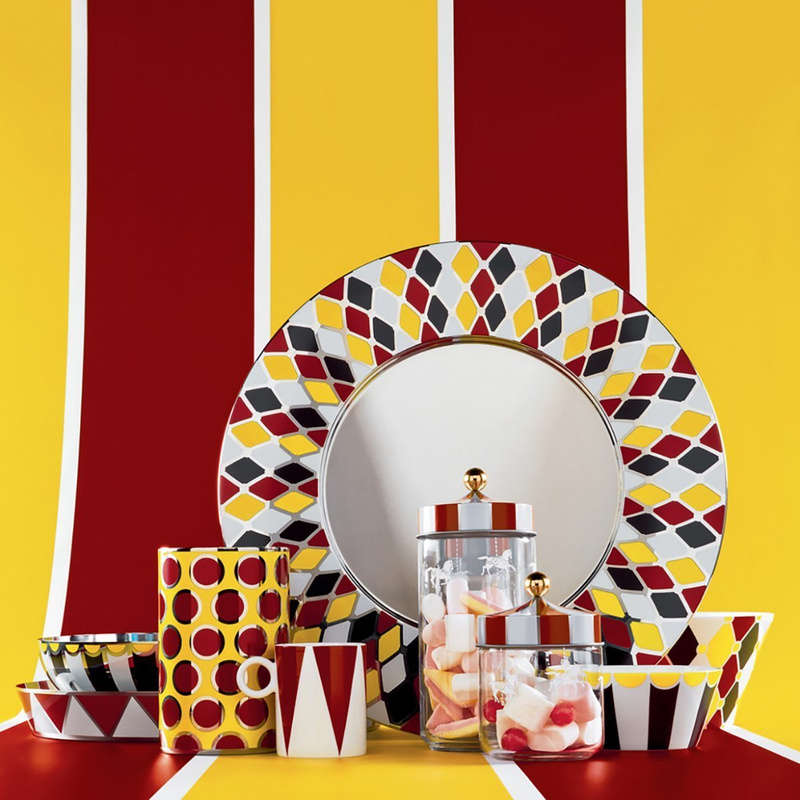 Using the Circus tray every day means making special any moment spent with loved ones and lighting up any adventure with colours and patterns that evoke playful and unknown world contexts. Perfect as a gift, is also a grat accessory to furnish your home, to be stored and used only when necessary or to be shown every day, placing it on a shelf in the kitchen.